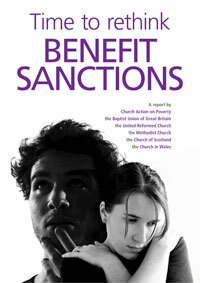 Church Action on Poverty joined with several churches recently to make a submission to an MPs’ inquiry into benefit sanctions. Lucy Zwolinska of the Joint Public Issues Team explains what we’re asking for. Our Poverty Media Coordinator Gavin Aitchison reflects on a busy few weeks! Communications Manager Liam Purcell reports on powerful new support for our call on the Government to rethink benefit sanctions. Ever been late for a meeting? Did it mean that you lost a month’s income? With a new Government in place, it’s urgent that we keep up the pressure for a rethink of the unjust benefit sanctions regime which is harming thousands of people. In this guest blog, Paul Morrison of the Joint Public Issues Team explains how you can take action.